As part of our Meet Osborne series, we are sitting down with our Communities colleagues to gain an insight into their role and what life is like working at Osborne. 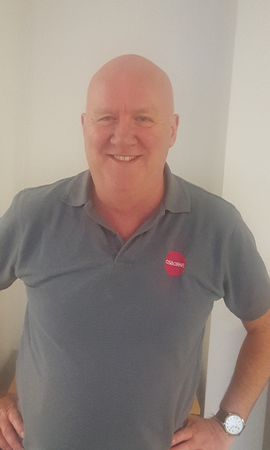 This week, we sat down with Gary, Resident Liaison Officer for Osborne Communities. Q: What does your role involve? The role is a bridge between the resident and the contractor, keeping the former informed of the works, addressing their concerns and ensuring the contractor has access and enjoys non-interference from the resident. Q: What challenges do you face in your role? My main objective is to instil to all involved in the works, a level of trust and confidence in that I am the ‘go to’ person for any questions to be addressed, which if I cannot answer the query, then I will seek out the person who can. On addressing the concerns belligerent and over demanding parties (whether real or imagined), the challenge is to remain calm and professional in resolving any issues raised. Q: What’s the best/most rewarding thing about your job? I work in Aids and Adaptions which, as the title implies, involves improving the facilities in a resident’s home to improve their quality of life and help to provide their independence. The rewards are simply to know that I was part of a team that has achieved those goals and made a difference. Q: What does a typical day involve? A typical day for me would be to meet with a resident, who is due to have the proposed improvement works, and go through what is to be done in their home (for example, how we will be adapting the bathroom into a wet room). I will compile a resident’s profile with contact numbers and any other information that might have an impact on the works. The resident will then be told of the health and safety procedures required of them and I will record their colour choices. Throughout the duration of the installation, I will make a daily visit to all the properties that are being worked on, answering any queries and ensuring that the areas in which we are working are safe for the resident. The residents who are in the process of having an adaption are contacted at the close of the working day to tell them which operative is due to attend the next morning or afternoon. When the works are completed, I ask the resident to complete a satisfaction survey and the process then starts again.